Love this adorable look for boys by Burberry kids – a grey short-sleeved Burberry t-shirt made in a soft cotton jersey with contrasting black stripes on the sleeves. On the front it has a black appliqué zebra print with the designers logo. Complete the look with a pair of denim jeans and lightweight Burberry Kids jacket. 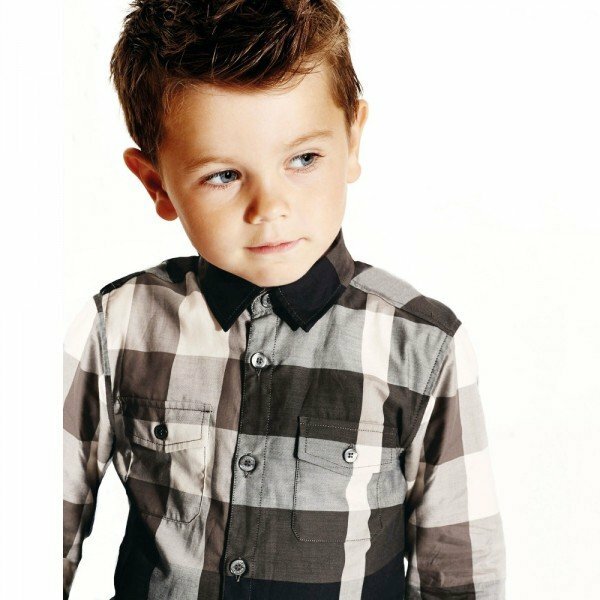 He’ll look adorable wearing this boys grey short-sleeved Burberry Boys t-shirt, with a comfortable round neckline. This super comfy shirt is made in a soft cotton jersey with contrasting black stripes on the sleeves. On the front it has a black appliqué zebra print with the Burberry logo. Complete the look with a pair of Burberry jeans or shorts and a classic Burberry kids coat.